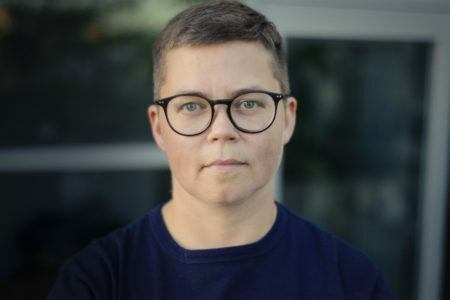 T’uy’tanat Cease Wyss is a media artist, cultural facilitator, and ethnobotanist. 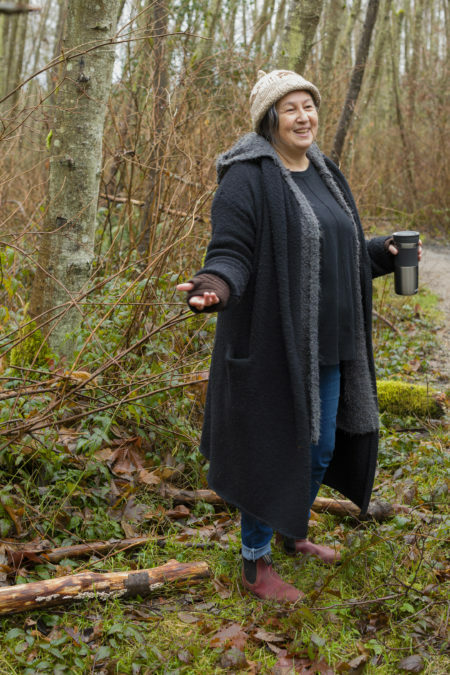 Her Fellowship with 221A will lead a transformation of Semi­-Public at 271 Union Street, converting the site’s compacted road base gravel to a communal garden repopulated with flora indigenous to Squamish, Musqueam, Tsleil-Waututh, and Stó:lō territories. During her tenure, Wyss will research traditional plant knowledges and maintenance systems to be implemented at the public art site in a three-year land remediation process. William Dereume is a cartoonist from Vancouver. 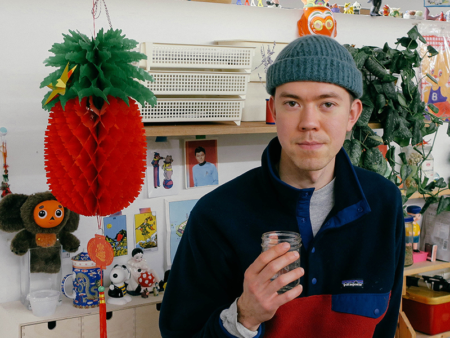 Through his fellowship with 221A, Dereume will develop a social infrastructure program that brings together artists, their institutions, and communities of struggle. 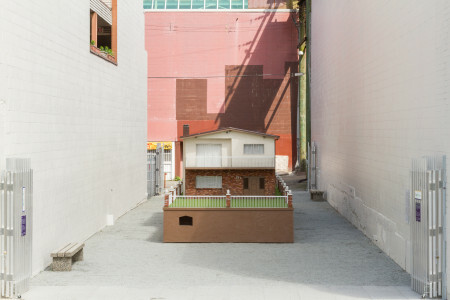 is a 3,000 square-foot public art site located at 271 Union Street in Chinatown, Vancouver. Semi-Public’s programming is informed by the contested spatial politics of its location and commissions installations and processes by contemporary artists. is a research infrastructure with a public reading room, gathering space, and a collection driven by 221A’s fellows. Pollyanna 圖書館 Library also programs communal educational initiatives and provides space for community groups that animate the library. 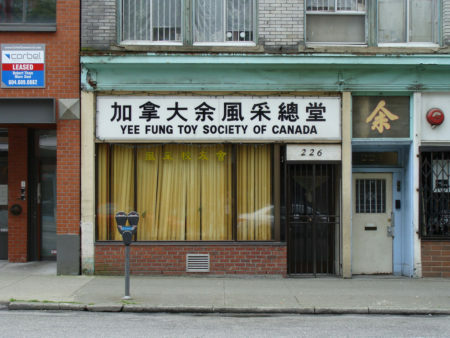 is a property leased from the Yee Fung Toy Society of Canada, a Chinese benevolent association established in 1904. 221A provides 8,000 square feet of space for a non-profit art organization and small artist studios, while the benevolent association operates a ground-level seniors meeting space and low-cost apartments in the upper building. 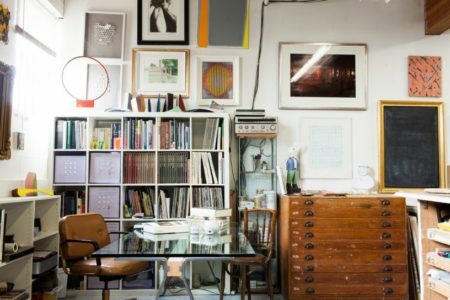 is a 21,515 square foot industrial leased property that provides space for over 30 cultural organizations, small businesses and an intergenerational mix of artists. The building was previously leased in part by Bombast Furniture, where it produced furniture for two decades. is a 9,000 sq.ft. 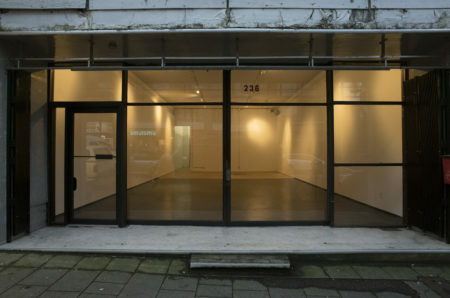 commercial property located at 236 E Pender St that provides space to 23 artists with 1 unit dedicated for non-profit social or cultural presentation and/or retail. From 2013-2018, the facility was managed by non-profit artist-run organization UNIT/PITT Projects. As of 2018, 221A began leasing the facility under 6-year renewable terms from a private owner, who previously self-operated the building for multiple decades as a Chinese herbalist.